Gossen Metrawatt now provides PROFITEST MASTER instruments with the new IZYTRONIQ testing software. The upgrade enables visualization, data management, and audit-proof documentation of all test events across devices. For the first time, measurement and test data from different testers and multimeters can be collated in one inspection. Gossen Metrawatt now provides PROFITEST MASTER instruments with the new IZYTRONIQ testing software. The upgrade enables visualization, data management, and audit-proof documentation of all test events across devices. For the first time, measurement and test data from different testers and multimeters can be collated in one inspection. Objects and places are assigned via drag and drop. Therefore, even complex procedures become very easy, for instance assigning datasets to other locations such as lots, buildings, levels, and rooms. Individual test structures can be directly uploaded to the test instrument. Control options also include practical features such as a push/print function to further simplify the transmission of measured values with all relevant characteristics. The Business Starter version installed by default in all PROFITEST MASTER instruments can be upgraded be at any time as needed. Additional Business versions are available, as well as network-enabled Enterprise versions. This expands the capabilities of the CAT IV devices. The series is designed for testing and measuring tasks in all AC and three-phase networks with voltages from 65 V to 500 V and frequencies from 15.4 Hz to 420 Hz. The systems support all tests according to DIN VDE 0100-600 / DIN VDE 0105-100 to check the effectiveness of protection measures in electrical installations in private homes, commercial buildings, and industrial facilities. On top of basic standard tests, PROFITEST MASTER offers numerous additional measuring functions and meets the requirements for acceptance tests and periodic inspections in fixed electrical installations. The devices‘ ergonomic design and user-friendly operation simplify the selection and setup of test sequences. The current measuring method and values are always clearly shown on the integrated illuminated display. For SECUTEST instruments from Gossen Metrawatt, the manufacturer’s new IZYTRONIQ software is now included in supply. The SECUTEST series comprises various models for testing the electrical safety of electrical devices and welding units up to 400 V.
For SECUTEST instruments from Gossen Metrawatt, the manufacturer’s new IZYTRONIQ software is now included in supply. The SECUTEST series comprises various models for testing the electrical safety of electrical devices and welding units up to 400 V. Special variants are available for type testing of medical devices during production as well as for periodic inspections according to IEC/EN 62353 and IEC/EN 60601: SECULIFE ST BASE, ST BASE25, and ST PRO. The instruments feature pre-programmed test sequences with automatic evaluation per VDE 0701-0702, IEC/EN 62353 (VDE 0751), and IEC/EN 60974-4 (VDE 0544-4). In addition, users can define their own test sequences to meet specific standards such as IEC 60601, 61010, 60335, 60204. The software upgrade expands the scope of measuring, testing, and integral metering capabilities, since IZYTRONIQ adds new device functions and methods of measurement. In addition to an exceptional function range, the software features intuitive operation and a contemporary design for up-to-date standards-compliant data management. Users can simply drag and drop test objects and locations. Even complex operations such as assigning existing objects to other sites, buildings, levels, or rooms are easy to accomplish. Users can freely switch between table, tree, and index card views in portrait or landscape formats as well as between touch and mouse operation. Smart features for highlighting or hiding specific tools and workspaces make it easy to select the right function in everyday operation. User-friendly control options also include the practical remote mode and a push/print function, which simplify the transmission of measured values with all relevant characteristics. Furthermore, the software now enables the collation of measurement and test data from different testers and multimeters in one inspection as well as their audit-proof documentation. The default Business Starter version installed in all SECUTEST instruments can be upgraded at any time as needed. Users can choose from additional Business versions or network-enabled Enterprise versions. All existing data is simply carried over. The GMC-Instruments group and its Gossen Metrawatt brand have launched a new cloud platform for secure inspection data management that holds up to legal scrutiny. The GMC-Instruments cloud offers a suite of applications and services for structured, comprehensive test and measurement data acquisition, archiving, and documentation. The GMC-Instruments group and its Gossen Metrawatt brand have launched a new cloud platform for secure inspection data management that holds up to legal scrutiny. The GMC-Instruments cloud offers a suite of applications and services for structured, comprehensive test and measurement data acquisition, archiving, and documentation. It greatly facilitates standards-compliant electrical safety inspections. Incorporating the IZYTRONIQ, ELEXONIQ, and VIZIONIQ modules, the cloud platform covers all current requirements of a modern, future-proof, upgradeable testing regime. Measured values and test data from various devices can be easily combined into one inspection. Users can view these schemes remotely at any time. Tiered access rights can be set up. Connection to this cloud saves costly investments in IT infrastructure and storage capacity. It ensures maximum data availability and secure communications through SSL-encrypted data transfer. The solution is based on the new cloud version of the IZYTRONIQ test software, which enables multiple users to easily access all inspection data, facilities, and documentation materials. Team access, shared execution of test sequences, and rights management tailored to employees‘ qualifications make the entire testing process more flexible. In addition, the ELEXONIQ app enables taking rapid inventories of customers, sites, and objects using smartphones, tablets, or notebooks. App users can directly synchronize data with the cloud without the IZYTRONIQ inspection software. They can also scan bar codes and take photos and assign them to objects. As a third module, GMC-I has integrated the web-based VIZIONIQ customer portal. This tool enables users to share all kinds of data with customers in a clearly structured form without time-consuming configuration: test results, reports, documentation, and attachments. Test technicians and electricians can now subscribe to the new GMC-I cloud service for a monthly fee. 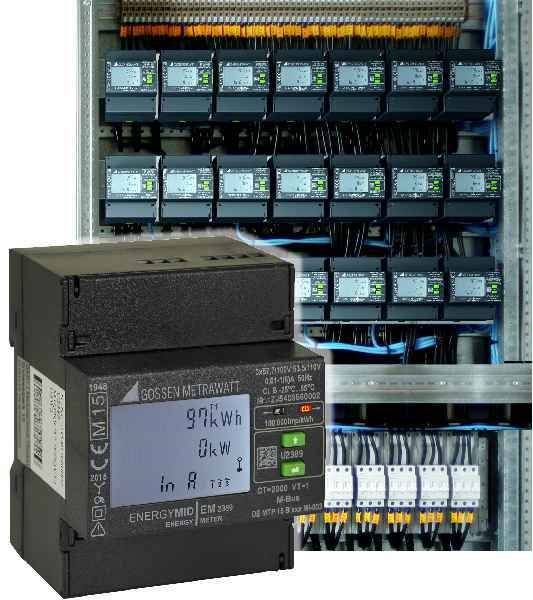 Gossen Metrawatt has launched the new, modular SU1604 summator for energy control systems (ECS). It can be expanded to up to 64 processing channels. Users can assign electrically isolated S0 counter inputs for processing pulse-shaped S0 input signals to individual channels. 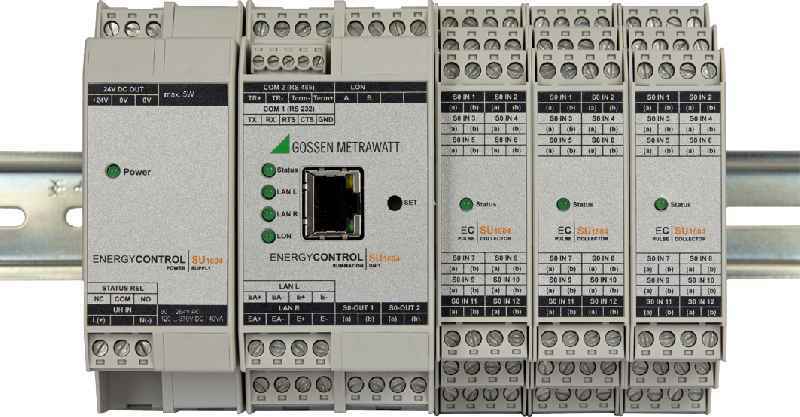 Gossen Metrawatt has launched the new, modular SU1604 summator for energy control systems (ECS). It can be expanded to up to 64 processing channels. Users can assign electrically isolated S0 counter inputs for processing pulse-shaped S0 input signals to individual channels. They can also choose to assign LON devices, with all the added benefits of this easy-to-wire, electrically isolated interface featuring polarity reversal protection. Energy or consumption data are collected in lockstep with the energy supplier’s measurement cycle and added up over defined time periods and a programmable interval, and saved along with the corresponding maximum values. In addition to the interval-based data list, up to four recorders with up to 64 channels and different time bases starting from one second can be defined. Each channel can be parameterized for any measured data such as analog, power, and consumption values in the interval or for running totals. Measured data comprise 32-bit float values or 64-bit double values saved to 100 MB of rolling storage space. This autonomous database for all electrical and non-electrical energy and consumption data enables visualization, consumption optimization, and cost-related billing. The summator features an RS485 and an RS232 interface as well as an Ethernet port for remote access to device data via TCP/IP. Four TCP/IP sockets with ECL access can be used simultaneously, and two of these sockets can be used for ECS-LAN networking. The U1604 summator is suitable for supplementing or replacing ECS summators from the U1600, U1601, U1602, and U1603 series. Thanks to intelligent evaluation electronics with the system’s own programming language, the summator can also be used for customer-specific calculation, evaluation, monitoring, and optimization of energy values without integration into an ECS. 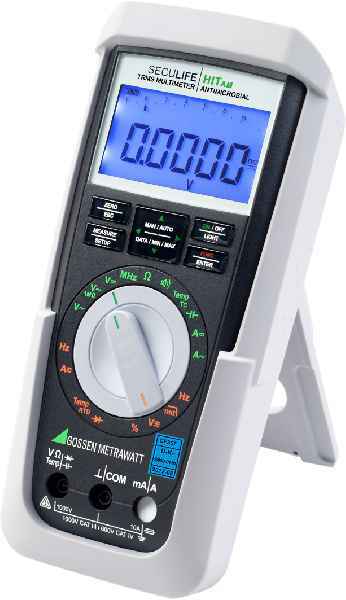 Because every inch is precious in a control cabinet, Gossen Metrawatt has now launched a new generation of MID calibrated meters built to extremely compact dimensions. In a 4 HP design, which corresponds to an enclosure width of merely 72 mm, the new ENERGYMID provides a unique range of functions in its device class. Because every inch is precious in a control cabinet, Gossen Metrawatt has now launched a new generation of MID calibrated meters built to extremely compact dimensions. In a 4 HP design, which corresponds to an enclosure width of merely 72 mm, the new ENERGYMID provides a unique range of functions in its device class. At the same time, its small size allows the meter to be easily mounted on any 35 mm DIN rail in any position. Installation and commissioning are safe and easy thanks to the integrated connection fault diagnosis function. Its backlit panel, which very clearly displays all selected measurement data, alerts users to any installation errors via a distinctive change of color in the display. Depending on the selected model, the units record not only energy consumption but up to 33 additional parameters for cost accounting according to the standards of the Measuring Instrument Directive 2014/32/EU. These parameters include reactive energy, apparent power, neutral conductor current, power factor, frequency, power supply and more. In addition, the devices monitor power quality through Total Harmonic Distortion (THD). Measured values are transmitted via pulse through standardized or freely programmable S0 interfaces. The meter is available with optional bus interfaces for M-Bus, LON, BACnet, and MODBUS RTU/TCP to facilitate data transmission and remote readout. ENERGYMID meters come with three years manufacturer’s warranty from Gossen Metrawatt and are offered at an attractive price. They are suitable for 2-, 3- and 4-wire systems with current transformer connection (1(6) A) and input voltages ranging from 100 to 500 V. They can be supplied as pre-configured standard models or in custom versions with an individually selected range of features and interfaces. 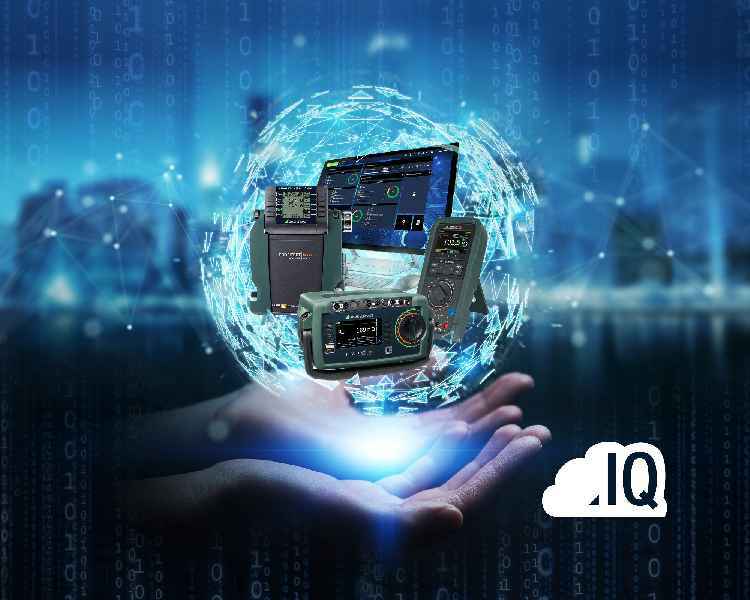 Nuremberg, Germany – Measurement technology specialist Gossen Metrawatt launches IZYTRON.IQ, a completely new test software that enables visualization, management, and revision-proof documentation of all test events across various devices. 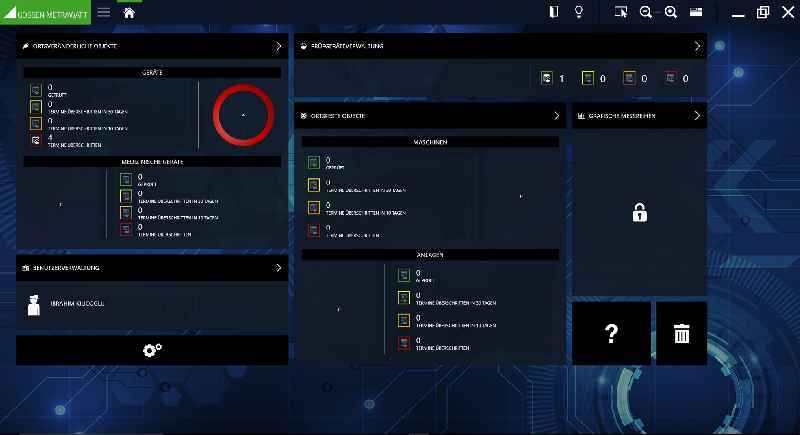 Nuremberg, Germany – Measurement technology specialist Gossen Metrawatt launches IZYTRON.IQ, a completely new test software that enables visualization, management, and revision-proof documentation of all test events across various devices. For the first time, measurement and test data from different testers and multimeters can be collated in one inspection. An intuitive and stylish GUI provides quick access to all functions. Intelligent highlighting and hiding functions ensure that users are pointed to those tools and sections that are pertinent to their respective tasks. Usability is further enhanced through meaningful icons and tree views of complex database relations. Users can individually adjust the viewing options and switch between table, tree, and index card views in portrait or landscape formats. They can also switch between touch and mouse operation. Objects and places are assigned via drag and drop. Therefore, even complex procedures become very easy, for instance assigning datasets to other locations such as lots, buildings, levels, and rooms. Control options also include such practical features as remote mode and a push/print function. These further simplify the transmission of measured values with all relevant characteristics. Flagged datasets with a GUID identifier ensure maximum data integrity. Gossen Metrawatt offers different, scalable software versions for trade, industry, and training purposes. Business-grade single-user licenses are available in three versions with a different scope of functions. Upgrades are possible at any time. All versions come with an integrated SQLite database. In addition, there are network-enabled Enterprise versions with floating licenses that use a Microsoft SQL database. Included functions for the latter comprise tiered access rights and data replication for online and offline applications, allowing for simultaneous use in testing teams. 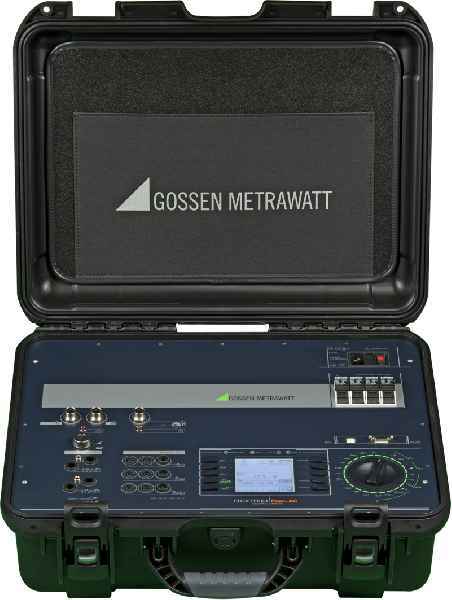 Nuremberg, Germany – Gossen Metrawatt announces the launch of its newly developed METRAHIT generation of handheld multimeters. The rugged, compact units for field use feature an outstanding functional range that is unique in the world. 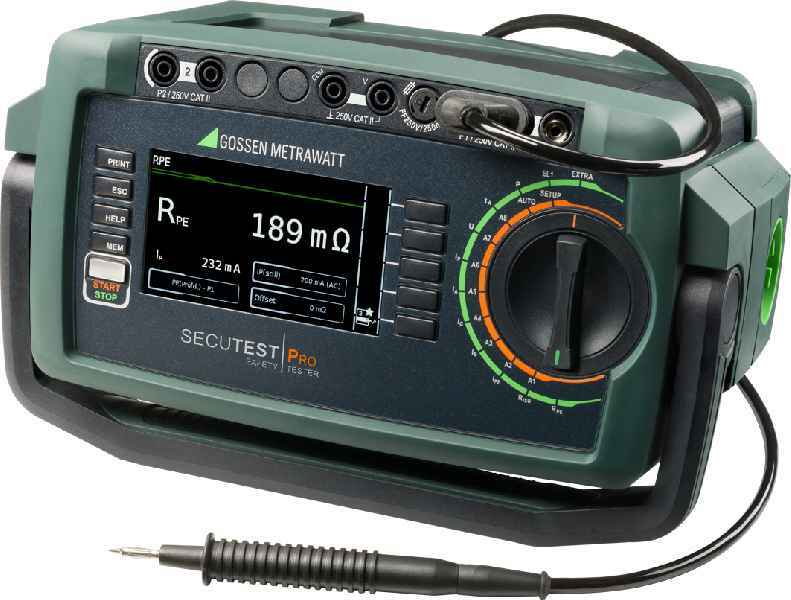 Nuremberg, Germany – Gossen Metrawatt announces the launch of its newly developed METRAHIT generation of handheld multimeters. The rugged, compact units for field use feature an outstanding functional range that is unique in the world. Four specialized variants cover all relevant safety inspection tasks and multimeter functions for troubleshooting and diagnostics on electric vehicles and machines. The METRAHIT IM XTRA is the only mobile measuring device that also allows for 4-wire measurements in the milliohm range, enabling precise detection of minimal resistances with resolutions up to 1 µO. Additional integrated functions include insulation resistance inspections up to 1000 V, 2-wire Rlow measurements with a 200 mA test current according EN 61557-4/VDE 0413-4, and 1000 V impulse voltage tests with an optional COIL adapter for detecting interturn short-circuits in electric machines. Moreover, the all-in-one devices perform TRMS current and voltage measurements up to 10 or 100 kHz, precision temperature measurements with RTD and TC-K sensors, capacitance measurements, as well as measurements of the polarization and absorption index. To ensure protection from high short-circuit currents in electric vehicles, the multimeters now meet the demands of measurement categories CAT III 1000 V and CAT IV 600 V. The user-friendly design optimized for one-hand operation ensures easy handling of the devices. A 3.5″ color graphics TFT screen neatly displays test sequences, measured values, and help texts. Test sequences and up to 300,000 readings can be saved in the unit and directly transmitted to the test software by means of a push/print function. Bluetooth and WiFi data communication interfaces are integrated. A USB connection is available with an optional power module. In mobile mode, the device runs on a quick-change lithium-ion battery. The battery can be recharged via micro USB. Gossen Metrawatt also supplies new generation METRAHIT IM XTRA multimeters with a special design for the automotive and electric car sector. 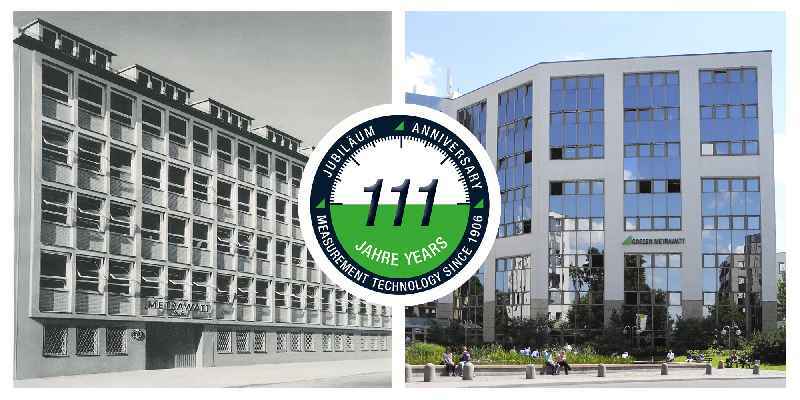 Gossen Metrawatt, a leading measurement and testing technology specialist, is celebrating its 111th anniversary in 2017. The company was originally founded by physicist Siegfried Guggenheimer, as an enterprise for the development and production of electric measuring instruments in Nuremberg, Germany, in 1906. Gossen Metrawatt, a leading measurement and testing technology specialist, is celebrating its 111th anniversary in 2017. The company was originally founded by physicist Siegfried Guggenheimer, as an enterprise for the development and production of electric measuring instruments in Nuremberg, Germany, in 1906. In addition to measuring and test equipment, GMC-I Messtechnik GmbH, its brand Gossen Metrawatt, and affiliated companies in the GMC Instruments group stand for intelligent solutions for detailed, standard-compliant energy management, monitoring and analysis of grid quality, and inspection of data and communication networks. „The safe use of electric power has been and remains at the core of our brand. We manufacture future-proof measuring and testing equipment that meets the needs of digitization and of the growing interconnection of power supply and communication systems,“ says CEO Dr. Hans-Peter Opitz. New generations of meters and measurement and system testing devices fulfill current standards as well as demanding requirements relating to safety, accuracy, data transfer, and documentation. The product portfolio includes high-end, individually tested energy meters for transparent consumption data acquisition in industrial, commercial, medical, and building technology, and in private households. The measurement specialist also supplies various lines for testing electrical safety up to the high voltage range. The GMC-I group operates an officially approved calibration laboratory and several DakkS-accredited calibration centers, which carry out DakkS, ISO, and factory calibrations for almost all electrical and optical parameters. In order to enhance the energy efficiency of buildings, infrastructure and industrial facilities, getting a transparent record of energy consumption is absolutely vital. However, densely packed equipment and distributed installations often complicate the integration of efficient measurement technology. In order to enhance the energy efficiency of buildings, infrastructure and industrial facilities, getting a transparent record of energy consumption is absolutely vital. However, densely packed equipment and distributed installations often complicate the integration of efficient measurement technology. Measurement specialist Gossen Metrawatt therefore now introduces ENERGYSENS, a new modular sensor system for precise energy consumption metering in accordance with precision class 1 in the DIN EN 60688 or DIN EN 62053-21 standards. The new measuring system comprises the slim ENERGY EScom basic module, which is only 2 HP wide, and up to 10 highly compact ENERGY ES sensor units that are available in four versions with 3 or 12 measuring inputs for current ratings of up to 40 A or 80 A. This allows for a flexible connection of up to 120 measuring points with a connection length up to 5 m to each base module. This very versatile solution is also very suitable for tight installation spaces in existing energy distribution boxes. Mounting the devices is very easy. In 50/60 Hz AC low-voltage systems, they can monitor the actual consumption values for effective power, energy, current, voltage and frequency. Moreover, by monitoring the phase load, ENERGYSENS also contributes to preventive maintenance and keeping downtime to a minimum. The sensors feature an extremely low profile with a very slim 13 mm. They are mounted onto the fuses. Measured values are transmitted to the base module via plug-on ribbon cable. Universal Modbus TCP and MODBUS RTU interfaces ensure fast data transfer in a variety of system environments. For an easy system integration without any programming, Gossen Metrawatt provides a free configuration software that is available for download on the company’s website. In addition to the sleek design, ENERGYSENS also excels in term of minimal power consumption, in contrast to much more power-hungry other products on the market. Measuring technology for testing the electrical safety in sterile or hygienically sensitive areas – ranging from hospitals, laboratories, or medical practices to production facilities in the pharmaceutical or food sector – are subject to particularly strict regulations. Measuring technology for testing the electrical safety in sterile or hygienically sensitive areas – ranging from hospitals, laboratories, or medical practices to production facilities in the pharmaceutical or food sector – are subject to particularly strict regulations. 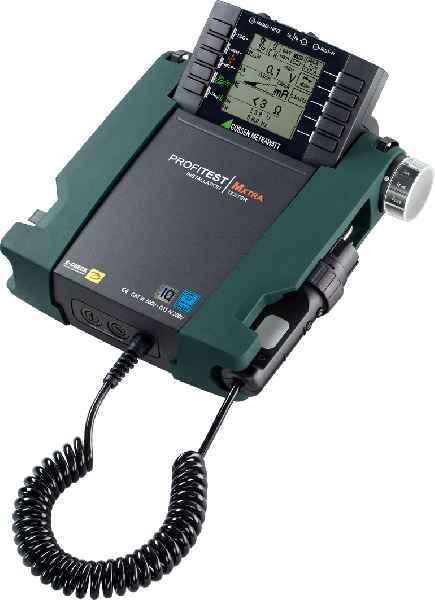 For such environments, measuring technology expert Gossen Metrawatt has developed SECULIFE HIT AM, a digital TRMS multimeter featuring an anti-microbial design. 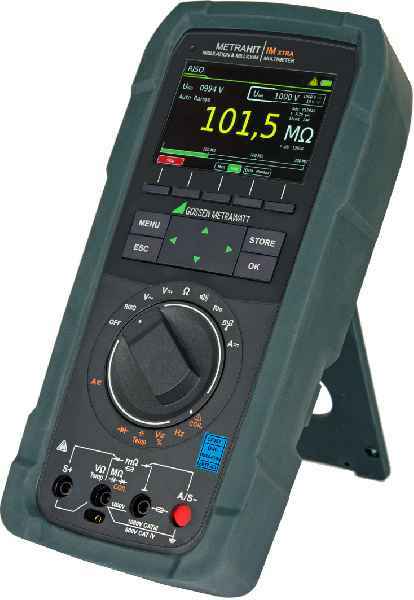 The ergonomically designed hand-held device enables TRMS AC and AC + DC measurements, irrespective of the signal shape, for voltages and currents up to 20 kHz. 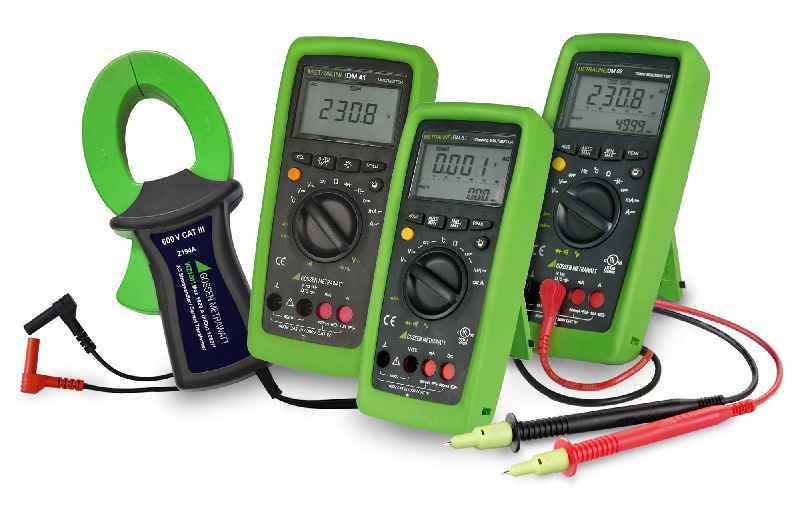 23 multimeter functions provide secure and reliable measurements for all required inspection tasks, including current measurement from 100 mA up to 10 A, voltage, capacitance and resistance measurement, and diode and continuity tests. In addition, a 1 kHz low pass filter can be switched on to measure e.g. the motor voltage at electronic frequency converters. Measurement of 5 V square wave signals is also supported. For enhanced safety, the housing, cables, and measuring probes are made from an anti-microbial material composition that counteracts microbial colonization. The multimeter comes with IP65 ingress protection. It features an illuminated display with digital and analog measurement indicators, which show fixed values as well as dynamic measurement curves with great accuracy. Measured parameters can be adjusted via a rotary switch and a function key. The measuring range automatically adapts to the reading, but can also be manually selected whenever necessary. 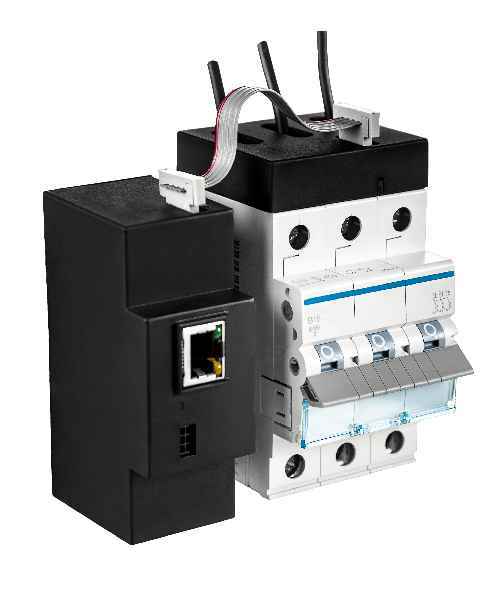 A single connection port is used for all current measuring ranges, which completely eliminates any potential confusion. Up to 40 values per second can be automatically stored. The total storage capacity is sufficient for more than 15,000 measurements. The device is approved for CAT IV measurements up to 600V and is extremely safe to operate: in addition to a high-voltage sensor that ensures the input signal is safe to touch, the device features automatic socket blocking, which prevents the incorrect connection of cables or selection of the wrong measured parameters. The highly compact ENERGYMID from Gossen Metrawatt is now available in two versions for direct measurement, which means without extra current and voltage transformers. 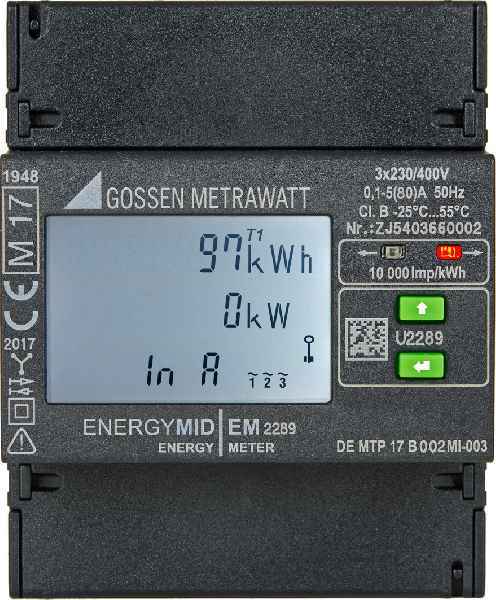 Gossen Metrawatt now provide their compact, high-performance ENERGYMID energy meters in two versions designed for direct connection. These models require no external current and voltage transformers, which saves installation space as well as expenses. 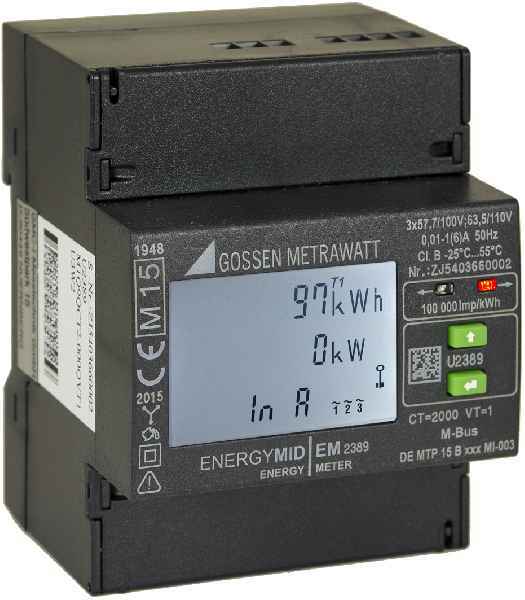 Gossen Metrawatt now provide their compact, high-performance ENERGYMID energy meters in two versions designed for direct connection. These models require no external current and voltage transformers, which saves installation space as well as expenses. The recently launched EM 2281 meter measures energy consumption directly in 2-wire AC systems with 230 V voltage. The second model now introduced by the measuring technology experts, the EM 2289 meter has been designed for 4-wire three-phase current with ratings up to 80 A and an input voltage of 400 V. Like all devices in this new generation meter range, the two direct measuring models are pre-calibrated according to MID standards and generate power consumption records and power feed data for differentiated cost accounting. With an extensive range of functions comprising not only energy consumption, but also up to 33 additional parameters depending on the selected model, the EM 2281 and EM 2289 meters are uniquely positioned in their market segment. For instance, they can be used to measure reactive energy, apparent power, neutral conductor current, power factor, frequency and power supply, and will additionally monitor power quality through Total Harmonic Distortion (THD). Users can choose from a range of standard or freely programmable outputs to measure value transmission via pulse. The manufacturer also offers optional interfaces for M-Bus, LON, BACnet, and MODBUS RTU/TCP to facilitate flexible network integration and remote readout. With a width of merely 4 pitch units, the new generation meters are also extremely compact. They can be mounted on 35 mm DIN rails in any orientation in a cabinet. A backlit display clearly shows the selected measurement data, facilitates the monitoring of connection parameters and alerts users to phase failure, overload and installation errors by changing the display color. Nuremberg – The new PROFITEST PRIME for standard-compliant testing of electrical installations is due to be launched by Gossen Metrawatt in spring 2017. This instrument combines state-of-the-art measurement technology with a unique set of features. Nuremberg – The new PROFITEST PRIME for standard-compliant testing of electrical installations is due to be launched by Gossen Metrawatt in spring 2017. This instrument combines state-of-the-art measurement technology with a unique set of features. It is suitable for almost any inspection task in machinery and switchgear construction, industrial and IT networks, wind turbines, photovoltaic systems, and electric charging stations. It is the only product of its kind with a large-scale test range that has been expanded to include 690 V AC and 800 V DC networks. Moreover, it is unique in featuring various newly developed test procedures: for the first time, it is possible to loop test in networks secured with type B RCD protection switches. Other new test procedures include innovative measurement methods to test ISO monitors up to 690 V and AC/DC sensitive RCDs up to 440 V in IT networks. All measurements can be made while leaving the measuring lines in place. Test prods and fuses can be changed quickly. Coded connectors prevent handling errors. Modern data management has been implemented to facilitate the creation of plant structures for protocols and other documentation. In addition to predefined automated sequences that enable fast implementation of various measurement tasks, custom test sequences can be programmed. PROFINET PRIME is the only device in its class that can be operated on battery power in case the regular power supply is unavailable. The battery charge is sufficient for up to a thousand measurements, giving users great flexibility. In addition to the standard version for low voltage installations up to 1,000 V AC / 1,500 V DC, the PROFITEST is available in two enhanced versions that additionally include high-voltage tests with 5,000 V DC or 2,500 V AC. The latter also features a function for pulsed continuous measurements to identify defective cable insulation. All models feature Bluetooth and USB interfaces for bi-directional data exchange, e.g. to keep test result logs in a PC software. An RS232 interface is integrated to enable the connection of bar code or RFID scanners and various sensors. Extensive accessories and attractive package solutions are also available. Nuremberg – Measurement specialist Gossen Metrawatt introduces ENERGYMID, a new generation of high-performance, extremely compact power meters. The new devices feature scalable functionality and are available for 2-, 3- or 4-wire networks with a transformer connection (1(6) A) and input voltages ranging from 100 to 500 V.
Nuremberg – Measurement specialist Gossen Metrawatt introduces ENERGYMID, a new generation of high-performance, extremely compact power meters. The new devices feature scalable functionality and are available for 2-, 3- or 4-wire networks with a transformer connection (1(6) A) and input voltages ranging from 100 to 500 V. They come pre-calibrated according to the MID standard and provide power consumption and power feed data for differentiated cost accounting. In addition to energy consumption and depending on the specific meter model, up to 33 additional parameters can be measured. These include reactive energy, apparent power, neutral conductor current, power factor, frequency, and energy fed into the network. Network quality is also monitored via THD current and voltage measurement. The ENERGYMID handles up to eight different rates for electricity and is therefore well-equipped for future structural pricing changes. Measured values are transmitted via pulse through standardized or freely programmable S0 interfaces. LON, M-Bus, MODBUS-RTU/-TCP or BACnet interfaces are optionally available as well for data transfer and remote readout. An integrated ring buffer ensures local data backup. The meters feature a high power density and are only four 18 mm module units wide. These extremely compact devices can be mounted on 35 mm DIN rails in any position. A backlit display clearly shows the selected measurement data, facilitates the monitoring of connection parameters and alerts users to installation errors by changing the display color. A parameter lock and sealed cover ensure the devices cannot be tampered with. The new ENERGYMID is available at a competitive price and with a manufacturer’s warranty of three years.